Kaleido (Mango remix) is charted 1st at Resonant Vibes! 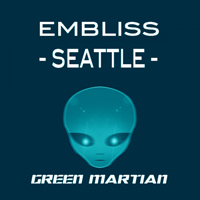 Seattle has been reviewed on Dance Beatz and UK Trance Alliance. Get also ready for a new Embliss guestmix for Trance Tribunal (#034) on ProFM (21:00 CET), Party107, ETR and Tracklists.ca this Saturday. Tune in!